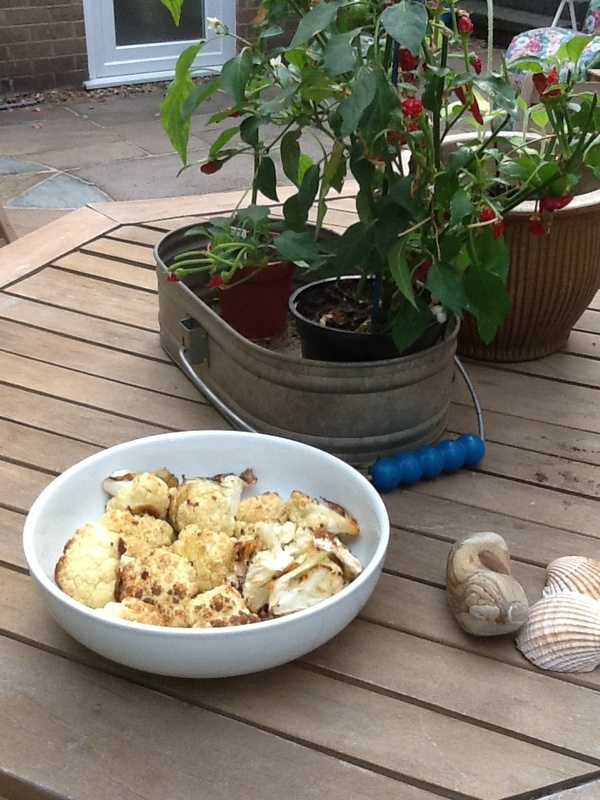 Although I didn’t see it myself, apparently, there was a piece on the news last week about Lancashire cauliflowers potentially going to waste as consumers aren’t buying them because of the hot weather. I find it hard to believe as, not being a big meat eater myself, I buy cauliflowers all the time to do the classic cauliflower cheese, cauliflower soup, and as a veg with any meal. When my Dad was telling me about this piece of news (as he knows we are so passionate about local produce) we recalled being on holiday in Austria years ago and enjoying both cauliflower and green beans with salad meals. It something I’ve not made for ages but in the spirit of encouraging others to eat more cauli I made a cauliflower salad to have with our meal tonight. The taste of roasted cauliflower makes it completely different, sweet and full of flavour, so if you’ve not tried it before give it a go! Sprinkle of chilli flakes, sea salt and black pepper. 3. 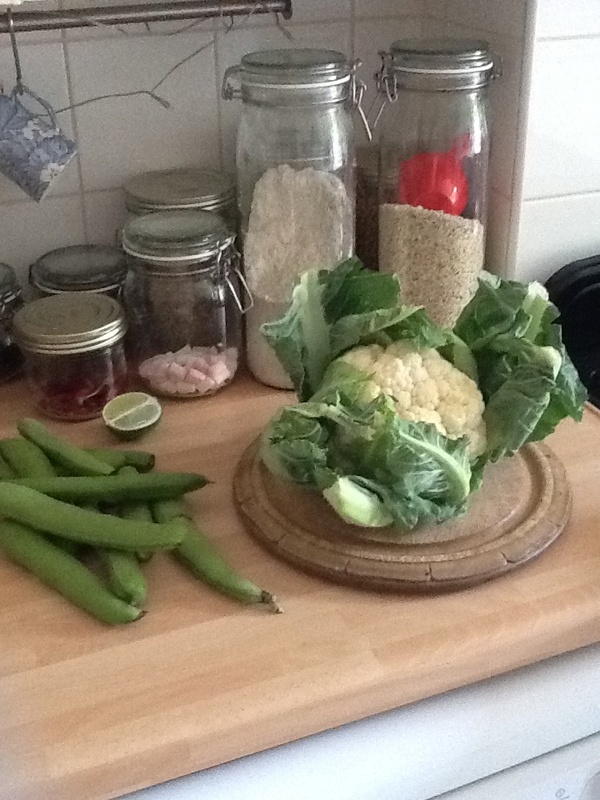 Break your cauliflower into florets, rinse and drain then place in the tin. 4. 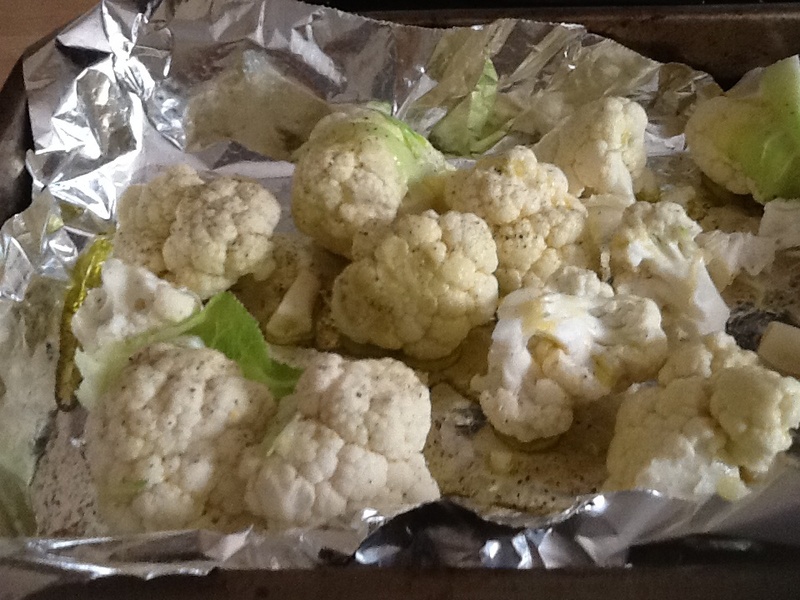 Drizzle with olive oil, add the peeled and chopped garlic and a little black pepper and roast in the oven for 20-25 minutes until the cauliflower has a golden tinge. 5. While it’s cooking mix the dressing ingredients, I use a small jam jar to shake them together. 6. Remove from the tin to your serving dish and pour over the dressing. 7. Serve warm or cold. This is lovely with any cold meats, cheeses, pork pie etc.